I hope I’m not bothering you too much, and I’ll try to be brief, but I just wanted to tell you …. I just wanted to say that I really appreciate your participation in this forum. For the record, you never have to start any communication with me this way. It is NEVER a bother to hear that people enjoy my work. It is in fact the best part of my day, and a great thing when I’m taking a break after finishing a section or chapter. And I participate in forums because, well I’m a fan like anyone else and I love talking about books. The truth of the matter is that writing is a very solitary pursuit. I spend most of my mornings locked in my room pounding away at the keyboard. Writing is by far my favorite pastime (keeping in mind that I don’t consider certain activities as fitting that classification – you can figure out for yourself what I think those are). It is indeed its own reward, and as I’ve said several times I write books that I want to read so I kill two birds with one stone there. But writing in isolation isn’t nearly as fulfilling without the interaction of others. After all I write with the hopes that people will read, be moved, touched, or entertained. Hearing that my work has done that makes the whole process that much better. So every time I open and email that says, “Thank you for writing such a wonderful series” my first reaction is an automatic…”No thank you” as this is the type of thing that is treasured by me…and motivates me…and is the salve that covers over that negative review or that bad day when nothing is coming out as I think it should. Yesterday Rhune climbed to 94,000 words. Hollow World edits continue to be worked on – the copy editor is GREAT and I’m crossing fingers that I can get it competed today. I’m a member of a writing critique group, and independently from that, I critique writing samples that people send me via email. I can’t read an entire book, or even a short story, but I usually will give some detailed commentary on the first few pages. By going through these samples, I see a lot of common mistakes by new or aspiring authors, and I thought I would share them here in order to help a broader audience. This is an easy one, as I’m guilty of it myself. I’m constantly fixing this in my own edits, or if I miss them, Robin will slash and kill them for me. Saying things like “He stood up” or “He sat down” should be trimmed. Yes the up and the down are just one extra word but seeing them can bring out the snark. “Of course, he stood up…was there really any question as to the direction of his standing?” Similarly, saying “a smile formed on his lips” almost always makes me think “Where else would a smile form?” Trimming unnecessary words cleans up your text and will prevent an eye roll, especially from agents and acquisition editors who, I suspect, see this often. A pounding throb rippled within his head as his mind wrestled with countless thoughts. The definition of “throb” is: Pulsate or pound with abnormal force. So a pounding throb is redundant. In general, I’d say this sentence should be further trimmed as rippling the throb seems excessive and there is no reason to mention both his head and his mind. There are some who counsel never using any of the above adverbs. I won’t go that far, but I will say they are very often overused. (Yes pun intended). I think it is a good idea to go through your book upon final review and look at every instance of these words. Consider in each instance if they are really needed and more often than not you’ll find removing them will strength the scene. What all three of these things come down to is that you should carefully consider every word and make sure it serves a purpose. I’m a huge fan of the writing of Aaron Sorkin. Here is an example why. The following is from one of his West Wing episodes and it illustrates my point better than I could. SAM: [waves and smiles] How you doing, Mr. President? BARTLET: Who wrote this intro? TATE: I did, sir. I’m Scott Tate from NASA Public Affairs. BARTLET: [gets up and shakes his hand] Scott. “Unique” means “one of a kind.” Something can’t be very unique, nor can it be extremely historic. C.J. : While we’re at it, do we have to use the word “live” twice in the first two sentences like we just cracked the technology? Anyway, just a bit of food for thought, and I hope you find it useful. Now I’m off to write Rhune, which continues to make forward progress even with review of copy edits of Hollow World. Further evidence of the changing face of publishing. While this post isn’t about Rhune, I thought it was an appropriate place to talk about it as I see this venue as a place to talk about all things related to writing an the business of publishing. (As opposed to my Riyria site, which is more for readers). Colleen Hoover, another romance writer who has had multiple runs on the New York Times bestseller list including #1 with Hitless. Hugh Howey also tread new ground when he became the first self-published author to get a print-only deal from one of the big-five publishers (in his case Simon & Schuster) again the deal was for 7 figures and it returned Hugh to the New York Times Bestseller list – hitting it for both trade paperback and hardcover in the same week. Brandon Sanderson has a long standing relationship with Tor Books, who has released not only his own titles, but also the Wheel of Times books to finish up Robert Jordan’s epic series. 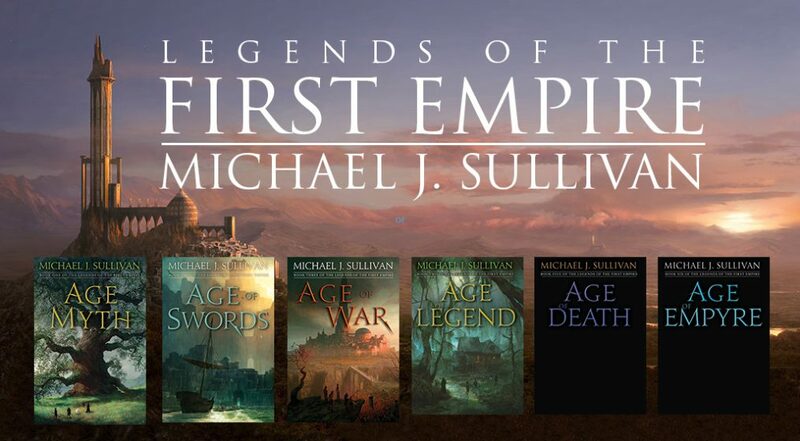 But last year he released two novellas: The Emperor’s Soul and Legion through two well respected fantasy presses that saw the wisdom of taking a piece of the pie instead of getting none of the action. Again, I don’t want to say more…we have an “agreement in principle” with royalty rates and advances nailed down. It’s now just a matter of getting the contract finalized and signed, once it is official I’ll be sure to say more. But here’s the important thing…print deals are moving into the realm of the “mere mortal.” This is progress people! Each of those previous deals have been with mega-selling authors. At least two (Bella and Brandon) have sold more than a million books and Colleen and Hugh may have as well (sorry guys I just don’t know your official numbers) but even if they haven’t…it’s just a matter of time. They have both crossed far over the 500,000 mark and they are still VERY early in their professional writing careers. I’m glad to see forward thinking publishers who are willing to break with tradition and think outside the box. The ones that penned the other deals have been rewarded for their efforts and I’m committed that my publisher will likewise be pleased with their decision to offer a print only deal for Hollow World. If so, we’re sure to see more of this in the future…and that will be very good for authors. I love copy editors. Okay, that’s not what I learned today…I’ve known this for quite some time now. They make me look so much smarter and professional than I actually am. It’s their job to fix my faux paws (and yes that was an intentional typo). Every time I go over all those little red penned marks I learn something new. Yesterday I received back one of the sets of edits for Hollow World and I’m always fascinated by the style sheets and list of compound words. Should it be afterlife…after life…or after-life? Keeping an eagle eye out for such things, then making them consistent throughout the text is just part of what copy editors do to make me look good. Not to mention the fact checking. It would have never occurred to me that the stadium for the Washington Redskins is FedExField (all one word with three capital letters. I wrote it as FedEx Field. It’s this type of incredible attention to detail, that is just one of the things that I love about copy editors. I’m also amazed at the evolution of language and all the inconsistencies that make it nearly impossible for you to keep everything in your head. For instance, backyard is one word but front yard is two. Why for the love of everything holy?! I can’t tell you how many times I’ve written back yard. Apparently flower beds are still in transition as both flowerbed and flower bed are equally acceptable. And don’t even get me started on the plural of words ending in “f”. A gabled house may have many roofs, but my horse has four hooves. Gah! But getting back to the topic at hand I learned another funny thing about the English language and that has to do with hyphen and the differences between adjectives and nouns. For instance let’s take air conditioning. When used as a noun there is no hyphen but when it becomes an adjective you need one. So while the air conditioning is cooler than I would like, it’s probably because the air-conditioning unit is malfunctioning. Likewise, my main character’s wife works in real estate, and has had her real-estate license for many years. They always say you shouldn’t edit your own work. And I agree with this. But the often stated reason is that you “know” your stuff so well that you don’t see the errors. I actually think there is a much more important reason…copy editors spend so much time with these little idiosyncrasies of the English language that it is second nature to them. They know what to look out for. They have seen the same stupid mistakes over and over again and go looking or common blunders. In any case, Rhune will be once again placed on the back burner (and yes I had to look that up as I had originally wrote it as backburner) so I can go over these copy edits. I actually have some other news on the Hollow World front, but I’ll leave that for another day. If you’ve never heard of TED before, I highly recommend checking it out. Their tagline is “Ideas Worth Spreading” and I’ve been both entertained and enlightened by many of the TED speakers over the years. Recently I came across Ken Robinson’s talk on how schools kill creativity. As a creative person, this is a topic I’m fairly interested in. As someone who is self-taught (mainly because I couldn’t put up with the structure of mainstream education), I thought it would be interesting to see what ideas he had…and there were many. This is particularly important for me at this stage in writing Rhune. I find that there are two moments of crisis in every book – one at about the 1/3 way mark and the second at the 2/3 mark. Until the work is finished I don’t want to show it to anyone, not even Robin, as I have only one chance for that “initial reading.” So I’m flying blind, not sure if I’m braving new ground…or if I’ve veered so far from my core competency is that I’m just messing everything up. Rhune is very different from my other books. It’s more complex…more “epic”…and the world it is based on isn’t a familiar one – not for me, or my readers. Will this be a good thing? I don’t know. But I do feel as though I’m daring myself to be wrong and going outside my comfort zone. What this means is one day I’m exceedingly excited about the book…and on another I’m afraid I’ve just wasted a bunch of time and the whole thing will need to be scrapped. The verdict is still out, but if nothing else I’m trying something new and fail or succeed I’m still glad that I’m prepared to be wrong. Question One: I’ve read about writers writing for writers, and writers writing for readers. From the brief excerpts I’ve read from your books so far and the reviews I’ve read, it seems you write for readers. Is this so? Unfortunately it seems these days many of the “gatekeepers” are editors that don’t know how to find fiction written for readers. They like the other stuff. I’m encouraged by your success. Maybe the genre is going to trend back in favor of the reader. I’ve grown wearisome of tossing down books one hundred pages in because I can’t find a story anywhere. This seems to have especially plagued fantasy. Actually I don’t write for either…I write for me. Each time I write a book, I’m really just writing what I want to read about. Many readers have asked me to write the “early days” of Royce…I won’t spoil things for you [this person hasn’t yet started my Riyria series and maybe some of those on this blog are in a similar situation] but let’s just say he wasn’t a nice person “back in the day.” And I don’t want to “be with him” during that time, so that book has little interest for me and probably won’t be written. This is a huge disappointment to many of my readers, and I think the book would “sell well” but just because it would make me money isn’t enough motivation to write. Question Two: Did the transition from writing being a hobby to a money-making activity make it less fun? I was wondering if needing to support your family with words added too much pressure, or if writing just became a job/business you happen to really like, or something else? I can understand why someone would ask this question, and I suppose every author will react differently this. It’s probably worth considering because if earning is going to change how you approach writing in a way that takes the joy out of it…then maybe it’s best to write without submitting/publishing. For years we lived off of my wife’s income…and she was able to quit her job a few years ago – and I’m grateful for that. I really enjoy giving back to her the freedom (of not having to report daily) that she gave me for so many years. So to that extent, I would like to do what I can to keep the stream of income flowing. That has more to do with “how” I publish rather than the fact that i “keep writing.” The writing I would do even if I didn’t earn anything, but I’m choosing to either do “self” or “traditional” in order to maximize the income that my writing will produce. On the writing front, I hit a snag this morning. I talked over some things with Robin at lunch and while she has no idea what exactly the issues are (I speak in vague generalities) it did help me to come up with a possible solution. Usually that means adding connections or adding collisions. Having multiple threads come together and changing the dynamic. Or even adding an entire new thread. This isn’t about bloat, that actually the opposite of what I’m talking about. This is about adding another layer of complexity or providing increased tension or drama. Having Luke Skywalker and Darth Vadar in a light saber duel is cool – add to that the realization that Darth is his father – even better. The problem is it’s not easy to pull off. Especially with a work that is already 75,000 words. Usually things don’t line up (although the mere fact that you see a way to up the ante is a good indication that your subconscious was putting in overtime hours). So the real trick is can you adjust a thread here, change a motivation there and make things align. Sometimes it works…sometimes its a bridge to far. But it’s always worth considering as if you can the effort is well worth the time. So for the last day and a half I’ve been working through all the various alternatives and considering the implications. I think I can make it work. I have my list of things to adjust and will be implementing the changes at least today, and maybe over the next few days. I may even be able to bring back some content that I had previously cut. If you do this, then its important that you pay particular attention during your first re-read after the novel is complete to look for possible contradictions. Inevitably I miss one or two very small details, like changing the age at which a particular event occurred. This is why a good line editor is so important. They have equal eyes for noticing shifts such as this and if they do their job right are actually on the look out for when you contradict yourself. So, no writing for me yesterday but I think today should go quite well. I hope your writing day will be productive as well.